The finding of the body of a woman inside a metal drum raises the homicide rate for the year to 565, according to data provided by the Organismo de Investigacion Judicial (OIJ). According to the Observatorio de Género del Poder Judicial (Gender Observatory of the Judiciary), 56 of the homicides were women, 24 of which are considered femicides, that is, crimes based on gender. Among the remaining deaths, 13 are related to organized crime, a number that more than doubled in respect to 2017, when there were six. In 2017, 58 women were victims of homicides, according to the Observatory. The body found on Thursday was that of a young woman, about 25 years of age, who has yet to be identified. The OIJ is hopeful that two dolphin-shaped tattoos on the lower back help identify the victim. Tattoos allowed to identify a woman who appeared dismembered in San Antonio de Escazú, in November. Stephannye Paola Castro Mora, 28, who worked as a security guard, was in the same area where the body of Venezuelan-American tourist Carla Stefaniak was found on December 3. There are still no people arrested in the Stephannye murder, nor do authorities have a clear motive for the crime. In the case of Carla, a security guard at the hotel she stayed her last night Costa Rica has been arrested for the crime. Stefaniak’s family, however, believe there may be more people involved. The body was stuffed inside a metal drum that was spotted floating in the Maria Aguilar river, minutes before 6 am, near the bridge between Hatillo and Sagrada Familia. 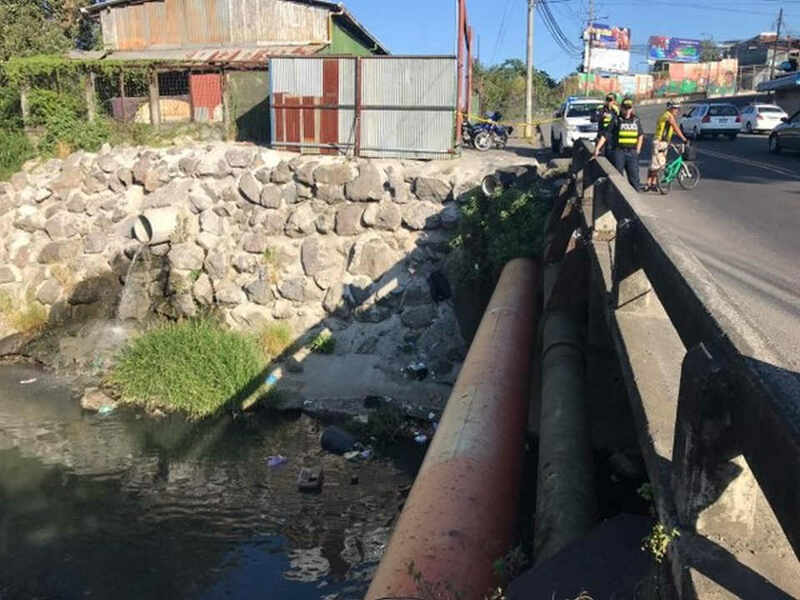 Marlon Cubillo, San Jose regional director of the Fuerza Publica, reported that on Thursday afternoon police raided a nearby site, known as the fat Calin’s bunker, where it is presumed that the woman was killed.